An inquest into the deaths of three men in a car crash in Co Waterford in 2016 has heard the driver had drugs and high levels of alcohol in his system. Waterford Coroner Dr Eoin Maughan warned today that driving under the influence of drink or drugs was akin to treating the car like a loaded weapon. Eamon Dixon, 22, from Abbeyside, Dungarvan died when the car he was driving crashed outside Dungarvan in December 2016. Michael Tobin, 38, also from Abbeyside, and 39-year-old Kenneth O'Sullivan, from Blackpool in Cork city, were also killed in the crash. The men's bodies were only formally identified using DNA tests as the car had gone on fire after it crashed into another car. 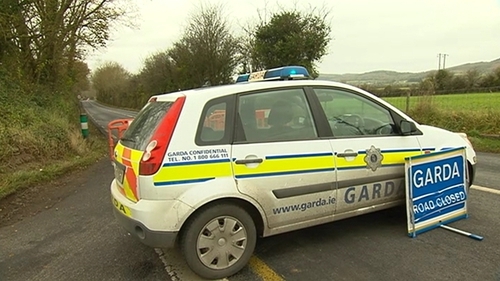 The inquest in Dungarvan heard that the car was travelling towards Cork when it crossed the white line in the middle of the road. It then crashed into a Citroen Picasso people carrier on the N72 near Dungarvan at around 10am. All six occupants of the Citroen - 38-year-old Mary Bermingham, her partner Gary Fenton, 36, who was driving the car, and her four children ranging in ages seven to 15 - were injured in the crash. They had being travelling towards Kilmeaden for a visit to the Santa train. The inquest heard that Mr Dixon, the driver of the other car, was four times over the legal alcohol limit and had traces of cocaine and other drugs in his blood system. Witness Patrick Murray told the inquest he had been in the car earlier that morning but had got out as he was scared. Another man, Darren Foley, the father of Mr Dixon, said he had spoken on the phone with his son earlier that morning and he said he sounded "off his head" on drink. But legal representatives of Mr Dixon's mother told the inquest that she disputes this. Ms Bermingham, who was a front seat passenger in the other car, said she saw the car coming against them on their side of the road and that it all happened very fast. She said they had been trapped in the car and her partner was unconscious. Ms Bermingham told the inquest one of her children was screaming, another could not see and they were asking was their car on fire. When gardaí arrived they said they heard screaming coming from the Citreon, with Ms Birmingham shouting "get my babies out". The Citreon had not gone on fire. Gardaí said the blaze in the other vehicle was too intense for them to put out the flames. It took them more than 90 minutes to cut Ms Bermingham out of the car as she had suffered horrific injuries, including two broken legs and a broken back. The inquest heard that she and her family had made a recovery. Garda Ruth Finn, who investigated the crash, said she was not able to say how fast the car in which the men died had been travelling at the time of the collision. However, she said that Mr Dixon’s car had pushed the Citreon back 16 metres from the point of impact, despite being the lighter vehicle. Deputy State Pathologist Dr Michael Curtis said the high level of alcohol, combined with the drugs in the blood of Mr Dixon would have seriously impaired his ability to drive. The jury returned verdicts of accidental death for all three men.